Rotary’s Future Vision Pilot Plan gave members of the International Fellowship of Rotarian Doctors, all OB/GYN specialists, inspiration and opportunities to participate in high impact, sustainable programmes. CALMED (Collaborative Action in Lowering of Maternity Encountered Deaths) is one such programme. Our template to reduce maternal mortality and mobility is based on evidence and the premise that maternal mortality is not only a medical issue, but also a public health and cultural/societal issue. 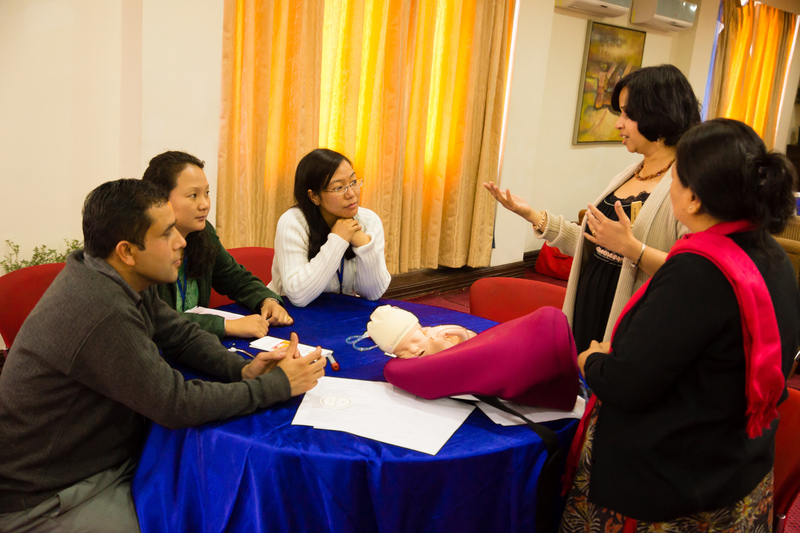 The concept of the CALMED programme was initiated and developed by a few OB/GYN charter members of the Fellowship, evolved over a period of over three years, with support from global collaborators including the World Federation of Obstetricians and Gynaecologists, the Global Library of Women’s Medicine, and Laerdal who provider of training simulators. 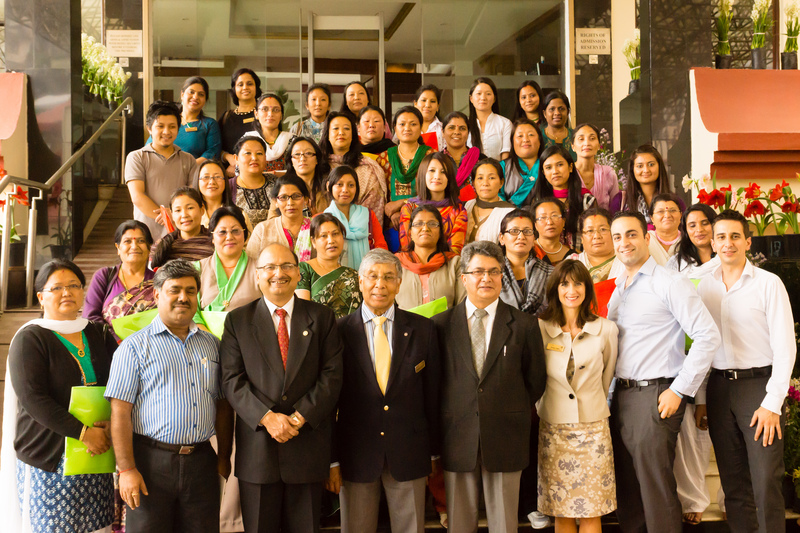 Three charter members of the Fellowship took the initiative to develop and implement the CALMED programme in Sikkim, India. 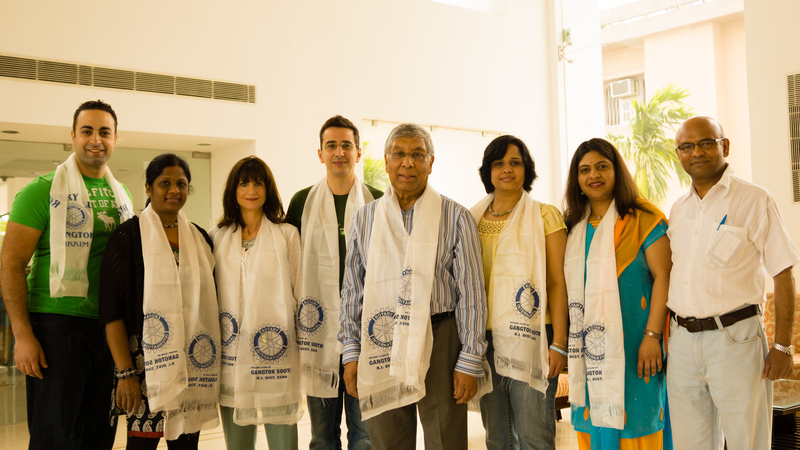 A vocational training team (VTT) of six obstetricians and gynaecologists, non-Rotarians who became associates of the Fellowship) and a Rotarian team leader traveled from the United Kingdom to Sikkim, India, for two weeks in April 2013. We used a “Training the Trainer” model and started by training 13 local professionals using modern methods of skill transfers. Under guidance and support from the VTT, the master trainers then went on to train 19 other professionals from all parts of Sikkim using the same training methods and equipment. Knowledge and skills tests administered before and after the training showed statistically significant improvement in both trained groups. The combined team then trained 39 health activities from Accredited Social Health Activists (ASHA) in awareness of maternal and child health issues, including family spacing, nutrition, immunization, value of antenatal and postnatal care, etc., using pictorial charts, posters, and DVDs. Village women groups were formed in urban and rural areas with support from District Inner Wheel and trained by ASHAs. The partnership between Rotary and the local government, National Rural Health Missions (NRHM), continues to ensure regular review and sustainability of the CALMED programme. The training cascade continues. We have gained a number of members and associations in our Fellowship. Monitoring, impact, and evaluation show continued improvement of maternal and child mortality in Sikkim. We are introducing a second CALMED programme in Gujarat, India, Rotary District 3051, and preparing to introduce a third programme in Madhya Pradesh, India, Rotary District 3040. Started in 1991, the International Fellowship of Rotarian Doctors has evolved over the years to include not only doctors, but nurses and other healthcare workers, who share a vision for supporting & promoting global health improvement, enthusiasm for volunteering, and a strong commitment to supporting local & international health care initiatives.